It's easy to create an Autorun slideshow for yourself! These days, digital cameras are a common household necessity but with their advent, the practice of printing photos has become almost obsolete. Whilst sharing photos on networking websites and duplicating them onto CDs has become the usual practice, it doesn’t quite have the same personal touch or class as a good old photo album. How can we make photos personal again? One of the most popular answers at the moment is to create a slideshow and burn that to CD. The wonderful thing about slideshows is that they can contain music, special effects, annotations and even voiceovers to make a personal, fun, digital age photo album. But to get a really good finish when you duplicate them onto CD for friends, family or even as part of a business idea, it is great to have the slideshow begin automatically when the disc is inserted into the machine. This is called an AutoRun Slideshow and I will be talking about how to create one of these in this article. In a previous article, I gave instructions for how to make an AutoRun CD, but creating an autorun slideshow is an almost completely different kettle of fish. To program a slideshow to autorun with computer code is actually quite complicated, so I would advise the use of a piece of software to do it for you. There are lots of products on the market at the moment, some of them very expensive and others totally free, but I would recommend AutoRun Slideshow 6.1. It is a very good program with a free three week download so that you can fully test its capabilities before paying for it (a reasonable £18.72 for personal home use). This program allows an autorun slideshow to be programmed onto your CD at no further bother to you: All you have to do is simply create your slideshow using the software, then copy the file you have made onto the CD. It should be noted that this software only work on Windows machines which run the operating system XP or newer. The wonderful thing is, it can also be used for professional use (at a slightly higher price) so if you were wanting to use an autorun slideshow for advertisement purposes or as part of a business idea, you can use this program on a CD which can then be duplicated. Good luck with making your autorun slideshow and duplicating it and have fun sharing your photos around in a personal, fun way! 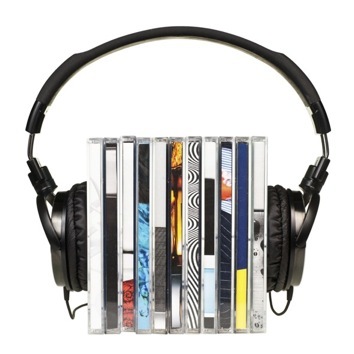 CD duplication or replication - there's a big difference, but what is it? When making many copies of a disc, often it is easier just to hire a professional company to do it for you as it saves you time and, in the long run, money. 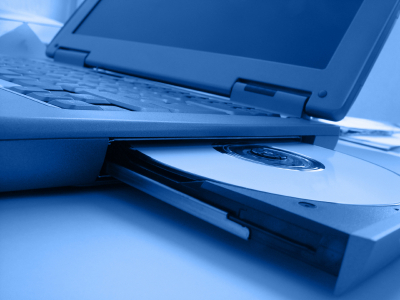 But there are two different ways of making multiple copies of CDs and DVDs: The first is disc duplication and the second is disc replication. The two are not altogether foreign, but there are some subtle differences which can make a massive difference to which one is better suited to your needs. 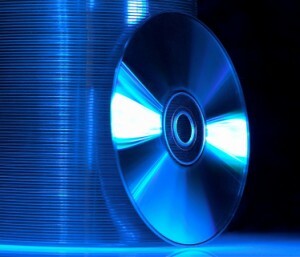 The process behind disc duplication involves burning CDs or DVDs the way you would at home, in a disc burner using a laser. However, professional equipment is such that it can burn many copies of a disc at once, using disc burning towers. This makes the process much faster than it would be at home. The discs are then decorated and checked for quality in special machines. 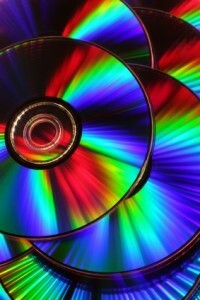 On the other hand with disc replication, CDs or DVDs are copied using a master disc made from glass. This master disc literally punches the digital information onto the disc before the protective layers are added. 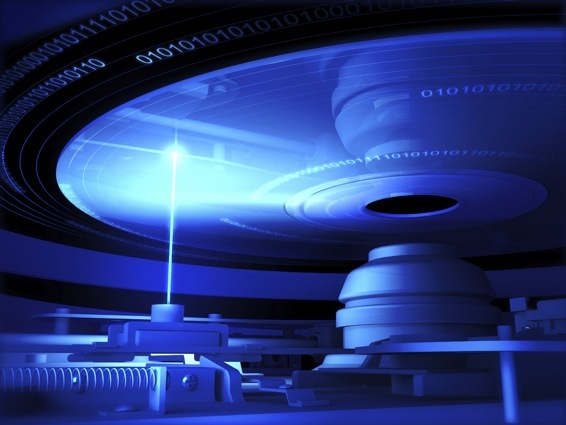 It thus becomes part of the entire disc manufacturing process. 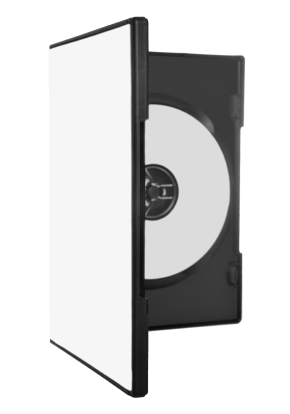 Although the initial costs of disc replication are more expensive because the glass master has to be made, if you want to make more than 1,000 copies of a disc it is actually cheaper than duplication. But duplication is much faster than replication: Duplication can take from 24 hours to three days, while replication takes between seven and ten days on average. Also, the type of discs which can be made in both processes differ significantly: Disc duplication will only deal with CD-Rs or DVD+/-Rs, while replication is only for CD-ROMs or DVD-ROMs and also now Blu-Ray discs. This is because CD- and DVD-ROMs cannot be burnt upon and CD-Rs have been taken too far down the manufacturing process to then be stamped with the replicating machines. This seems trivial, but it can have a slight difference to which disc players can read them: It is estimated that in the current market that only 98% of CD players will play duplicated CDs while 90% of DVD players will play duplicated DVDs. This could have an effect on your decision: If you need to be able to guarantee your customers will be able to play your product, it is better to replicate the discs! This is because of the way that data is read from the different discs. Aside from this, there are no real differences in appearance of the discs or the quality of data stored, though it should be noted that duplicated discs can be a little more susceptible to UV damage than replicated discs but this technicality is so slight it only really counts if you are planning on making your disc last more than thirty years! Good luck with all your duplication and replication and I hope this article has helped you on the way to making your mind up on which is better suited to your needs. Just remember that the most important thing in the decision-making process is simply how many discs you are planning on creating: The basic rule is over a thousand, you replicate, under a thousand, you duplicate! Printing CDs at home – it may look cheaper, but is it a false economy? 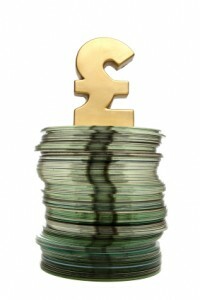 Home CD duplication - does it really save you money? In the current economic climate we are all constantly looking for ways to save money on everything. This is no less the case in the world of CD printing, but while printing your CDs at home may look cheaper on the outside, there is strong evidence to suggest this is in fact a false economy and it is less expensive to get a professional company to do it in the long run. To start, let’s examine the cost of the CDs themselves, especially in relation to the quality you will be getting. It goes without saying that the cheaper a CD is, the less likely it is to be of good quality: There are no free rides in the digital world and if a price is very low, the chances are that somewhere a corner has been cut in terms of quality. For CDs this may mean a much shorter life span, which means that your CD product would need replacing some years sooner than if you had had the CD produced by a duplication company. 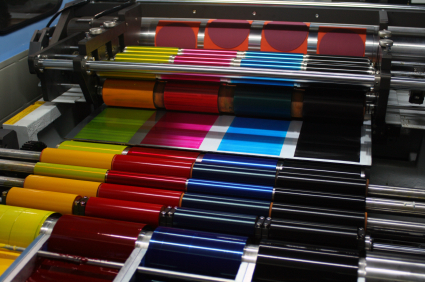 Thus, if you print at home, you could be paying almost twice as much for the same product in the long run. To add to this, if you do home CD printing then there will be far fewer quality tests in place. 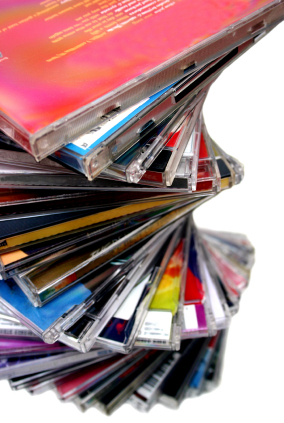 CD printing businesses have a very high level of standard quality, where each CD is thoroughly tested for any faults. Home CD printing could allow faulty CDs to be overlooked, which means that you might lose very important data or, if you are sending out your CDs to consumers for advertising or commercial purposes, could mean that people come away with the impression that you are unprofessional because your product does not work! On a similar note, you will get a much more professional finish to your product if you use a CD printing company than at home. The print on the disc will be done using the correct machinery, which it is extortionately expensive to buy yourself. Also, unless you have an incredibly good printer, the booklet and inlay will be of a higher print quality if you use a credible company. A good-looking CD with high quality packaging and an attractive cover and body print will entice consumers and look far more professional. This effect is very expensive to achieve yourself and so, in the long run, it is far cheaper to use a CD printing company. On a more personal note, it takes a lot of time to produce CDs at home, which ends up wasting a lot of your precious hours! If you pay someone else to do it for you, you may well end up saving a lot of money by achieving other things with your time instead. It also puts far less strain on you personally, especially if you have a looming deadline! Professional CD printers are used to working to a deadline and some of them even offer next day delivery, which means that you can rest assured that the job will be finished on time and to a high standard, without the worry of having to do it yourself. So while it may look like in the short term it is cheaper to buy that very cheap roll of discs and do all the CD printing yourself at home, it can in the long run mean that your product needs replacing faster (costing you more money! ), is more likely to allow a product through which is faulty (losing you precious data or customers, costing you more money! ), ultimately does not look as good (again, losing you consumers and giving people an unprofessional opinion of you, losing you more money) and all this only having been done so that you can have more stress and worry! Therefore, I would say, it is less stressful and more economically sound in the long run to get a professional CD printing business to do your CD printing for you so you can relax, knowing the job is getting done fast and to a very high standard! Posted in Helping You Decide | Comments Off on Printing CDs at home – it may look cheaper, but is it a false economy? What can you use the media on a CD for? There are hundreds of uses for CD media! Since it’s invention, the CD has had manifold uses in everyday life. And yet people are constantly becoming more and more innovative with the ways in which discs can be used. It is straightforward knowledge that CDs are used for storing files such as music, video and powerpoint software but how the media itself is being distributed is constantly changing and there are lots of new ideas that are always coming to light. For some years now, CD media has been used for advertising – we are all familiar with the AOL software demos which come through our letter boxes! Aside from these software demonstrations, CDs can also advertise through an interactive package which draws the consumer in, or for bands who want to release a few demo songs to increase their fan base. CD media can also advertise through short films, this last being especially useful for fundraising, particularly for charities: Nothing will make someone want to help more than seeing the heart-wrenching images of a starving child or an interview with a war refugee! Here, widely distributing a short film on the issue at stake is likely to raise a lot more money than simply reading about it in the papers. But there’s the real clincher: The high compatibility of CD media makes it very suitable to wide distribution among the general public. It is rare indeed to find a household which does not have a computer or stereo system which will run CDs thus it is pretty much guaranteed that all your customers will be able to view the information sent out. This factor, combined with the excessively easy portability of CD media, has also lead to CDs being handed out in schools. Recordings of lectures, whole terms of work-packs and copies of specially-licenced software are regularly given out to thousands of students. Students can also take their assignments to and from school or university on CD, the wonderful rewritable nature of CD media only moving to assist this purpose. CD media can also be an invaluable learning tool in itself: Many students and adults alike use CDs to learn languages or listen to audio-books. In the work place, too, CDs create a remote storage back-up system, archives and video or audio recordings of conferences and meetings. Similarly, archives of CCTV are also often kept on CD. Apart from keeping records, many people are now promoting their businesses with miniature CD business cards, which can contain anything from links to websites to interactive features, music, adverts or simply contact information. As you can see, CD media has endless uses. But amongst these more serious uses, because CD media is so portable and also relatively inexpensive to create, discs are often being given out as free gifts. Not only in magazines and newspapers do we see free films or compilation albums being given away, but even with some books, too! These discs, however, are not simply presents but are another clever form of advertising as someone is much more likely to buy a product if a ‘free’ gift comes with it! CDs are constantly being given as genuine gifts, too, not only shop bought CDs containing music or films, but also as compilation CDs, with music personal to you and the recipient, making the present poignant and more meaningful. The same idea applies to giving short home movies as gifts or audio recordings of loved ones. These, too, can be sent across the world in nothing more than an envelope, so they make excellent presents for friends and family who are far away! Strangely enough, people have even started giving CDs out as party favours: Because data can be put onto a CD very quickly, one can copy a CD with images of the party on while the event is still going on, so the guests have a memento of the special occasion. These favours have been known to come from weddings, birthday parties, even just nights out which are especially good fun! CDs have even been known to be given as prizes, a special edition CD makes an excellent reward, or perhaps a good music CD. Special edition CDs can also be a very good advertising tool, making people buy not only the original disk, but that one, too! So you can see that CDs have a multitude of purposes, and CD media is one of the most useful tools at our disposal, not only in the workplace and at school, but also as a form of advertisement and as a cunning hook to get customers interested in your product. Aside from this they can also make personal, fun gifts with films, music, games and photos. It is perhaps this adaptability and variation, alongside CDs high compatibility, inexpensiveness and portability, which makes CD media so popular in the world today. Posted in Helping You Decide, How To...! | Comments Off on What can you use the media on a CD for? You are currently browsing the Duplication Centre Resource Centre blog archives for January, 2010. Duplication Centre Resource Centre is proudly powered by WordPress | Entries (RSS) | Comments (RSS) | 33 queries. 0.032 seconds.